We are looking for skilled individuals with the energy and expertise to help us consolidate our strengths as an organisation and explore new development opportunities. You will help take forward an ambitious programme of work that includes: activating local communities through shared arts and cultural activities, developing artistic talent and commissioning high-quality artistic work. communities and deliver meaningful experiences that impact positively on peoples lives. If you think you could help us achieve our goals please download the Information Pack for more information and how to apply – we’d love to hear from you. Applications close on 13 March 2019 and short two-way interviews will be held on 22 March 2019. 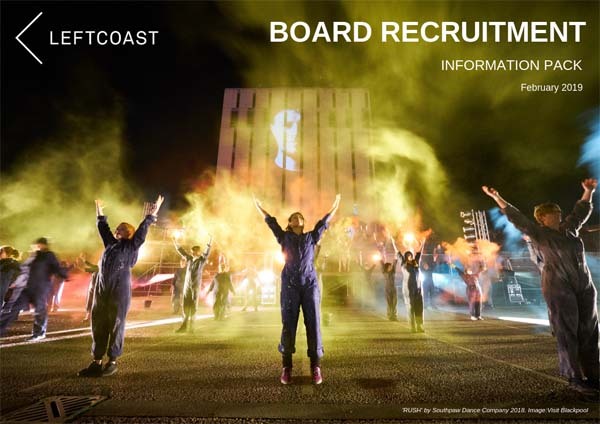 Please download our Board recruitment Application Form 2019 if you would like to apply.